Beauty Salon Equipment and Salon Supplies. Price does not include delivery. 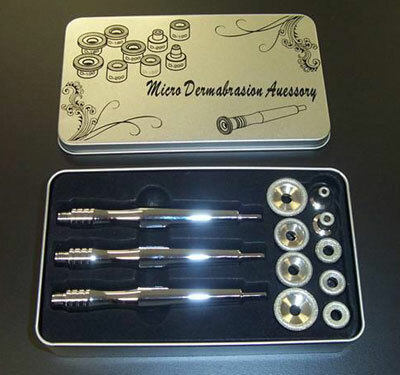 Product: Microdermabrasion kit consists of 9 diamond tips and 3 wands in a metal case. D-200 x 4 (fine - various sizes). D-180 x 2 (medium - various sizes). D-100 x 2 (extra coarse - various sizes).